Dr. Henry Cryer graduated the medical school from the University of Nevada School of Medicine and completed his residency program at the University of Louisville. He is both specialized and board certified in general surgery. 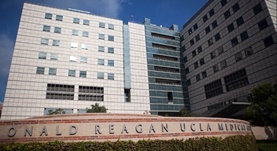 Dr. Cryer has been in practice for more than 20 years and is affiliated with the Ronald Reagan UCLA Medical Center. During his career, he has also contributed to 5 publications of medical interest. Dr. Henry Cryer has contributed to 3 publications. Long-term Postinjury Functional Recovery: Outcomes of Geriatric Consultation. Tillou, A.,Kelley-Quon, L.,Burruss, S.,Morley, E.,Cryer, H.,Cohen, M.,Min, L.; JAMA Surg. 2013 Nov 29. A simple clinical risk nomogram to predict mortality-associated geriatric complications in severely injured geriatric patients. 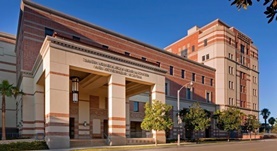 Min, L.,Burruss, S.,Morley, E.,Mody, L.,Hiatt, J. R.,Cryer, H.,Ha, J. K.,Tillou, A.; J Trauma Acute Care Surg. 2013 Apr. Two-wheel vehicular trauma: an age-based analysis. Wagner, J., Rai, A., Ituarte, F., Tillou, A., Cryer, H., Hiatt, J. R.; Am Surg. 2012 Oct.